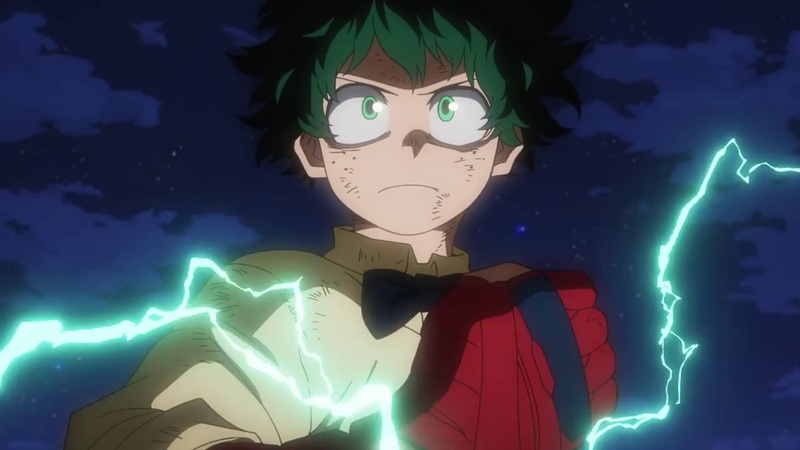 Animated by Studio BONES and directed by Kenji Nagasaki, which are of course the same animation studio and director behind the TV anime adaptation of Kōhei Horikoshi’s Shonen Jump manga series, My Hero Academia: Two Heroes is the feature-length-film that brings all of the best bits of the hit anime series to the big-screen; and in spectacular ‘PLUS ULTRA’ fashion. From the moment the films begins, and until well-after the credits have ended, My Hero Academia: Two Heroes does something that most feature-length-films based on TV shows can only dream of achieving. A stand-a-lone experience that expands upon the TV anime material that is both entertaining to fans and approachable for newcomers who are being dragged along for the experience. I suspect that BONES and Kenji Nagasaki’s involvement with the film helped make this process a lot simpler; but it’s a magnificent feat to see a stand-a-lone film within a franchise be treated as if it was part of the TV anime material. Pokemon, Digimon, Dragon Ball Z all have films that uses characters and elements from the TV anime to deliver a story; but here things are a little bit different. For sure it’s a stand-a-lone film that uses characters from My Hero Academia; but at the same time it expands the world of these characters by offering additional insights into character backgrounds and – for All Might at least – an origin story of sorts. My Hero Academia: Two Heroes is, as the title suggests, the story of two heroes and depending on your understanding of this film it can mean one of multiple things; with the obvious being a ‘successor’ to the symbol of peace. 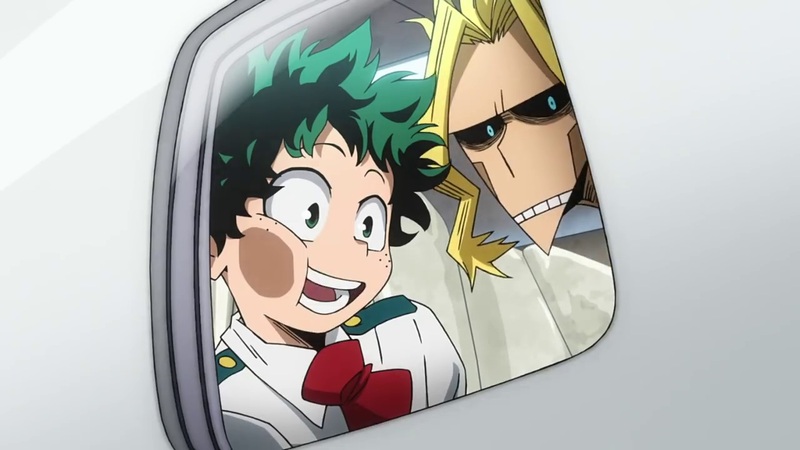 Taking place shortly after the events of the second season, but crucially before the third season, My Hero Academia: Two Heroes follows the story of Izuku Midoriya (Deku) and Yagi Toshinori (All Might) who find themselves travelling to I-Island for an expo that showcases the scientific creations of scientists and support-staff technicians. I-Island is a technological marvel whereby the latest scientific creations, both in every-day and hero-life, are made and this expo is to allow the public – and special ‘preview’ attendees of which Midoriya and All Might are a part of – to see the creations first hand. Unbeknownst to Midoriya this visit to the expo is not for exploring the latest creations; but instead it is to allow All Might to reunite with an old friend and comrade; David Shield, who is a scientist at the facility, and in turn his daughter Melissa Shield, who is attending I-Island as a student. This is where My Hero Academia: Two Heroes becomes more than a ‘film’ and part of the ‘bigger picture’ as we get to learn about All Might’s past through flashbacks and stories. 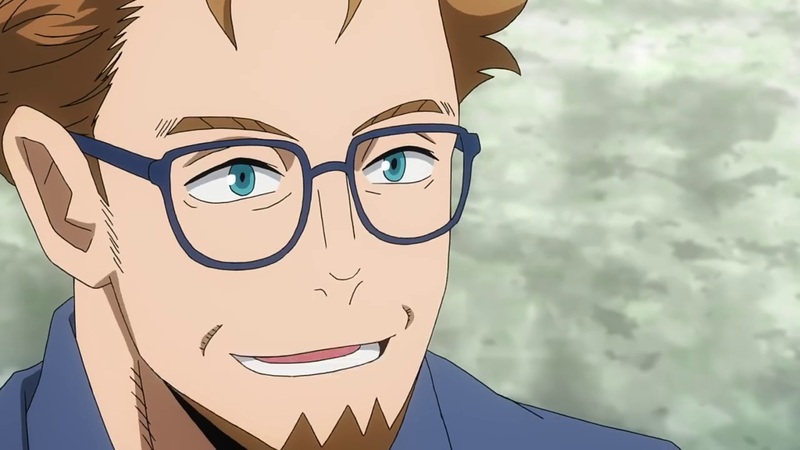 In this case David Shield was All Mights partner during All Might’s stay in America during his younger days, which is why all of his attacks are based on American locations (Detroid, California and Texas), and as such David helped create the suits that All Might has worn during the countless decades of service as a Hero. Ironically all of this is summarized by Midoriya; but it wouldn’t be My Hero Academia without him fan-boying over a part of All Might’s past. 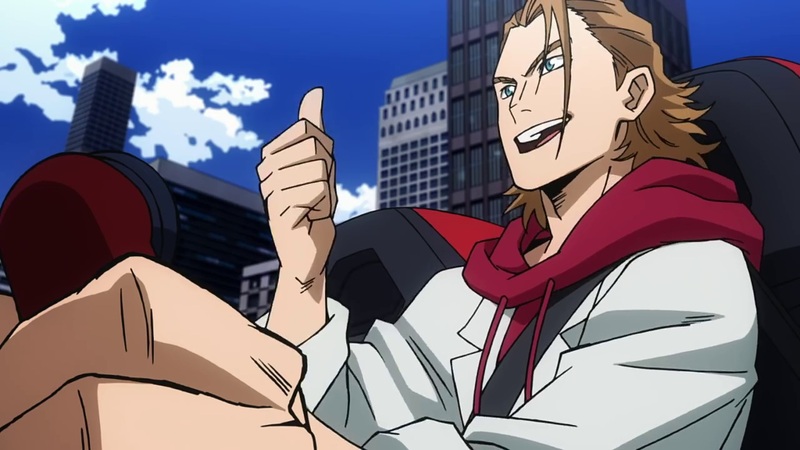 Interestingly that’s not all either as David is also aware of All Might’s limited time in ‘Muscle Form’ and as such does some investigation into All Might’s current status and the disappearance of his One for All powers. To have this discussion brought up here is a welcome surprise and further cements the fact that My Hero Academia: Two Heroes caters to fans of the TV Anime rather than being a cinematic cash grab. 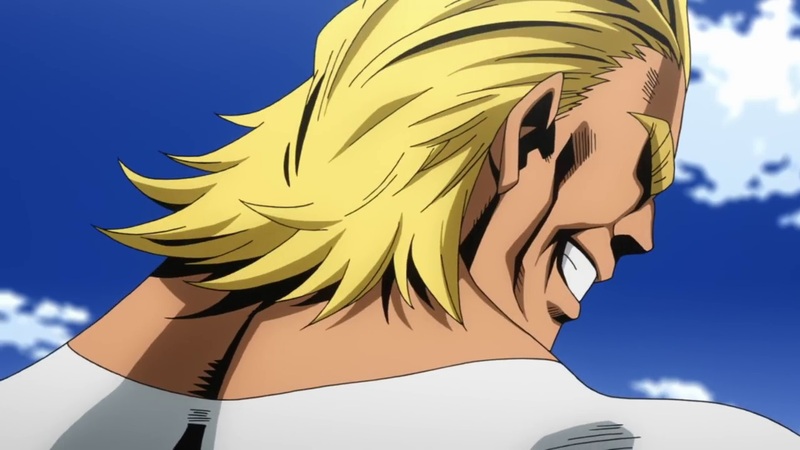 For the uninformed All Might was heavily wounded during a fight five years ago against All for One and since then All Might cannot hold muscle form for more than a few hours and this time limit has since become lower when All Might ‘passed on’ his ‘One for All’ quirk to Midoriya during the first season. 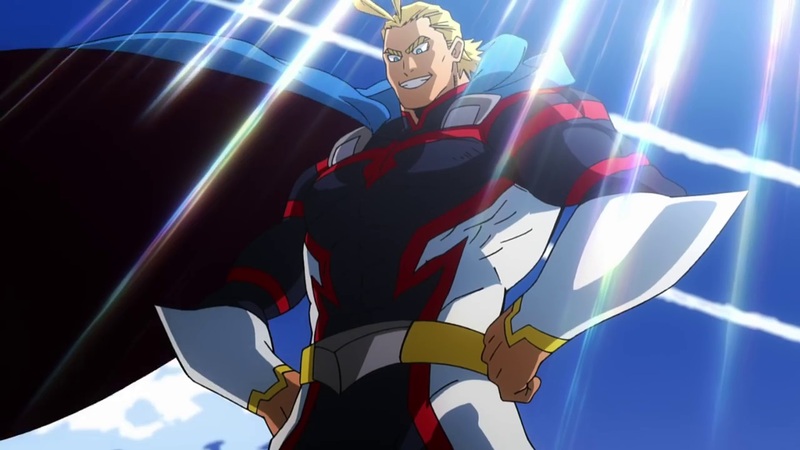 The result of All Might losing his power is not just a fundamental part of My Hero Academia: Two Heroes; but it also becomes a heavy talking point within third season – and as such it feels that this movie was helped to bridge the gap between the second and third season as well as deliver the characters we know and love to the big screen. 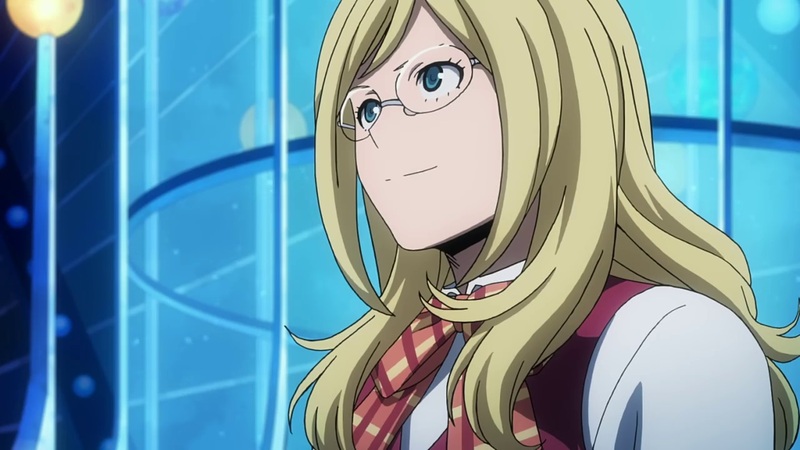 Speaking of characters whilist All Might and David are reminiscing over past endeavours Melissa shows Deku around the facility and in doing so all notable characters from UA High, such as Katsuki Bakugō, Ochako Uraraka, Tenya Iida, Shōto Todoroki, Momo Yaoyorozu, Eijiro Kirishima, Minoru Mineta, Kyōka Jirō and Denki Kaminari, are all introduced in varying comical ways. 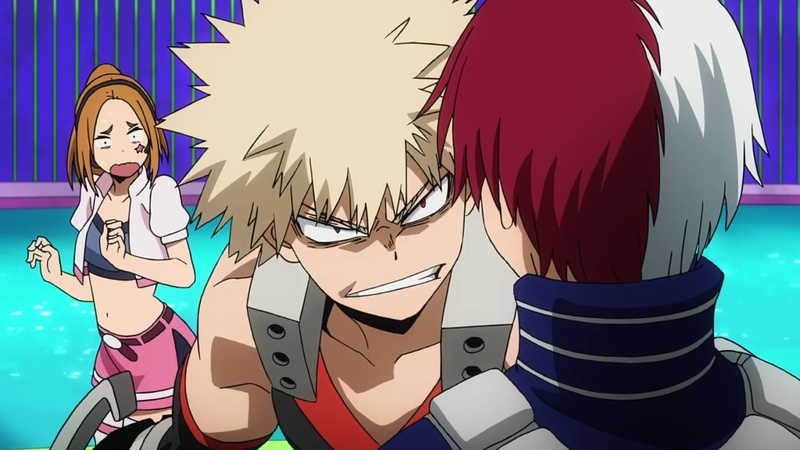 Bakugō, Todoroki and Kirishima are introduced through a Hero Challenge while Uraraka, Yaoyorozu and Jirō find themselves encounter Midoriya and Melissa while strolling around the expo – much to the annoyance of Uraraka who is clearly [not] jealous. All of these characters play an important role within My Hero Academia: Two Heroes but sadly not everyone manages to get that ‘screen time’ one would have hoped. Asui Tsuyu (i.e. Froppy) fans for instance will be disappointed to learn that she only makes a brief appearance. A perfect explanation is given, as only those with a ‘preview’ badge could attend the expo BUT everyone from Class 1-A of UA High does get some screen-time; so you’ll find your favourite character on screen at some point. Regardless once these notable characters have assembled the real film can begin and its here where the ‘hero action’ we come to love from the franchise begins to bear fruit. In this case a villain organisation has infiltrated I-Island and locked it down by using the security systems that are designed to protect those on the island. 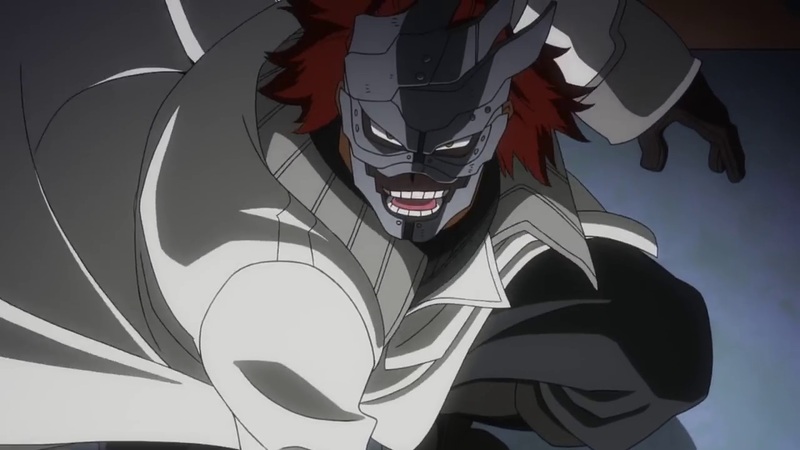 Everyone is held as a hostage, including All Might and the Pro-Heroes that have gathered, and as such it is now up to the students of Class 1-A of UA High, as well as Melissa Shield, to rise to the occasion and disrupt this enemy threat. From here its one constant dash to the control centre that manages the security system and along the way our characters must over obstacles, including villains, by using their abilities and skills learned at the academy. It’s a never-ending thrill ride that sees each of the characters brought out on the big screen to the best of their abilities; but it’s so much more than that. 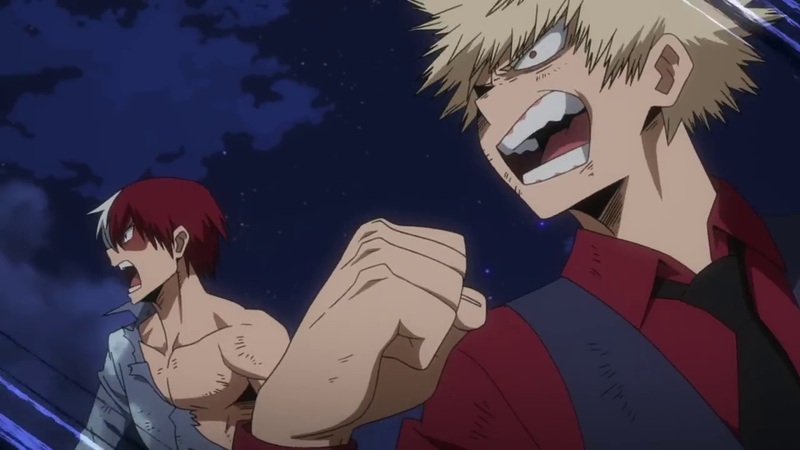 Little details and traits brought over from the TV Series, such as Kirishima and Bakugō’s friendship as well as Todoroki’s unwillingness to use his fire are brought to big screen; further reinforcing the fact that this is a film catered to fans of the anime material. Naturally I won’t spoil the entirety of the film; but a few surprise plot twists lead to a rather inventive ending that sees All Might and Midoriya team-up to fight the mastermind behind this whole scenario. As one would expect It’s a fight filled with emotion and drama but more so than that it’s a fight that will leave you shouting PLUS ULTRA at the screen. Animated to the same standards of the TV anime and using the anime material to build up its own story My Hero Academia: Two Heroes offers everything you could ever want from a cinematic My Hero Academia experience and at the same time so much more. Everything you loved about My Hero Academia is here and whether you watch this in Japanese or English it will provide the PLUS ULTRA experience one would expect from the TV anime… that is unless you are a fan of Asui Tsuyu (Froppy). Whether you are a fan of My Hero Academia or an anime fan looking for your first cinematic experience My Hero Academia: Two Heroes is definitely worth your attention and you won’t be disappointed. My Hero Academia: Two Heroes will be available in selected cinemas throughout the UK on the 4th December 2018 and 5th December 2018 in both English Subbed and English Subbed formats. Tickets are available to pre-book online from the official My Hero Academia: Two Heroes UK website.